The certified retrofit unit probably won't be available until 2057 or so, when I will have given up and replaced my entire airplane with a giant flying Garmin logo. But it's still fun to dream. It's already available today, just not for the Mooney yet. Yeah, I know. But they haven't started the certification process for any Mooney models, and it seems clear that we'll be no sooner than the third phase. if interested go on Dynon site and put your name in. Yes you have to give them email etc but it at least let's them gauge how many are interested. Anyway, I was kidding about 2057. But I love the idea of a real disruptor in this space, and I think that Dynon has a relatively small window of opportunity. It's only a matter of time before Garmin significantly expands the GFC500 AML, and at that point it becomes a numbers game: "Do you want the TXi PFD/MFD/ADS-B/EIS/AP solution for $50k now, or do you want the Dynon equivalent for $25k in 18 months?" Frankly, I'd love to see Garmin get scared enough by Dynon to introduce a G3X-based system at price parity. But I'm not optimistic that that's going to happen, and I'm still eagerly awaiting every next word about HDX certification. "We do not manufacture or offer trim servos. We only manufacture and sell our own autopilot servos which directly command the aircraft's primary control surfaces. In the Experimental/Amateur-built market, we support integration with Ray Allen trim servos for command by our auto-trim control module. I don't have any information on whether the trim servos you list can similarly be integrated with SkyView. You would have to wait until we commence prototype work on an AML candidate aircraft with those trim servos before we could offer any informed answer to your question." My understanding is something like this. The BK servos are expensive and have sucky connectors. So when Dynon Servos are only $750.00 it really makes more sense to replace the old one. The question I figured out was for us older Brittian with Accutrac II there will have to be a digital to analog converter to keep the old system. Which only makes sense as a limited temporary upgrade path till you can do the Dynon servos. The trim servo is going to be the hard one for those without electric trim already. But my point was that Dynon does not make a trim servo. They make pitch and roll servos, but not trim. So if you want electric trim and Dynon, you are going to have to find somebody else who makes a stand alone trim servo. After calling BK, and reading a short distance through the STC for the KFC200 that applies to my J, BK used to offer a 'manual electric trim only' option. Of Dynon, Garmin, Trio, and TruTrak,; the only one that offers a trim servo is Garmin. Yes we are in violent agreement. For us further in the legacy world of Brittian the best I can tell it may be $10K just for the trim part. I believe that someone will solve this Trutrak or one of the others. I think this is also the reason that Dynon is keeping the autopilot a little more separate from the STC so as not to muddy the waters with the FAA. My friend who is STCing the Baron could not understand why I would want to interface the Skyview with the AccuTrak II. Without trim Skyview is still just 2 axis and you don't get all the fancy features. I’m not sure what it is about the skyview but every time I picture the panel it’s attached to a LSA like an rv12 etc. All the higher end installs and faster aircraft are usually outfitted in Garmin attire. I’m sure I’ll get used to it after a few thousand Certified aircraft get it installed. I'm not Yetti, but I think the only thing you'll not have would be manual electric trim and auto-trim. Everything else (which is a lot) should still work. If I didn't care about electric trim, Dynon would probably be my first choice. Although I'd probably still keep my airspeed indicator, altimeter, and turn coordinator. Thanks @Bob - S50. That makes sense. I like my manual trim and think I prefer what feels like a finer resolution of control that the trim wheel turn method seems like it would provide over a switch. So I should be happy without the electric trim. I assume that a Skyview 2 axis AP will still maintain a given altitude by simply adjusting the pitch instead of using a pitch trim, even as I manually adjust trim for the best aerodynamic flow over the emennage? Once set for a given altitude, It would stay pinned there as I adjust trim, right? Is there anything more to this trim topic, or am I missing something. My understanding... someone fix it if I am off. The Skyview can fly a fully coupled approach if it has all 3 axis under control. Also set up from cruise to descent. Also the things like "regain level Flight" after an upset. Also maintain altitude on a Flight plan. I too like the manual trim and find it not that hard to set up the plane for level flight. But like last Saturday I was flying along and then found myself 300 feet lower than I thought I should be. The AP does not use trim to adjust pitch or bank. The servos do that. Without auto-trim, if the servo is having to apply too much force to maintain the desired flight attitude, auto-trim will be applied to reduce that force. If you don't have auto-trim, you will get an indication of some sort telling you to trim in a certain direction. When you have trimmed sufficiently, the indication will go away. I'm almost positive (never say never) you only need 2 axis; pitch and roll. It should be able to climb/descend at a speed or rate, level off, track the course enroute with GPSS, and fly the approach. Yaw will not be included in the initial STC but they may choose to add it later. Same with auto-trim, but they will not provide the trim servo. The only time I feel electric trim is really handy is during flap extension or retraction. Going from clean to full flaps takes a lot of trim change. I usually hold the flap switch down with my right hand and trim continuously nose up with my left thumb. Just the opposite during a go around. Flip the flap switch up to retract the flaps and trim continuously nose down with the left thumb. Other than that, I agree that manual trim is just fine. If need be I could probably learn to lower the flaps in small increments or just muscle the controls until I can free up my right hand to run the trim wheel. I’ve seen this from other autopilots and that makes sense to me how it would work. It seems like a reasonable solution if you don’t have trim servos. For me- the lack of autotrim disqualifies the Dynon system. I suspect it will eventually be available, but until that’s at least an option I wouldn’t install it. My KFC150 uses electric trim to climb, descend, and shoot a fully coupled approach. The autopilot won't engage unless the "test" is run, and the test fails if the electric trim isn't on. I have Dynon's roll and pitch servos in my Rv7, manual but no electric trim. No electric trim in any case means no auto trim. When the autopilot is engaged both servos will do their thing holding altitude and heading (or whatever is selected) as any modern autopilot. If a downdraft is encountered the pitch servo will hold altitude but at some point there will be a message on the PFD, "Trim Pitch Nose Up". A big enough downdraft and out of trim may cause a message on the PFD, "Pitch Servo Slip" simply meaning the force required to maintain altitude exceeded the capability of the servo. No biggie, usually this message will flash a few times on a bumpy day. Flying a coupled approach with a lot of speed changes will generate a bunch of trim advisories. If I built another today, would I include electric trim and therefore auto trim. Nope. Would I buy Dynon again versus Garmin? Yep. Thank you to the last several posters. Much clearer now on the implications of auto trim vs. not. Based on this additional understanding, I still think that the Skyview with my manual trim will meet all of my needs. Thanks for the updates. Now just to figure how to convert from Brittian to Skyview servos. Latest word at AirVenture from both Mooney and Dynon is that they are working together for an upgrade answer for the heritage Mooneys with the Dynon Certified hardware. Possibly a subset that doesn't initially include the autopilot, depending on how the STC work progresses. There was even a veiled reference to the possibility of seeing something other than Garmin in NEW Mooneys. Back on topic - the timeline for the heritage solution is early 2019, subject to FAA decisions. Apply your own salt to taste. Latest word at AirVenture from both Mooney and Dynon is that they are working together for an upgrade answer for the heritage Mooneys with the Dynon Certified hardware. Possibly a subset that doesn't initially include the autopilot, depending on how the STC work progresses. There was even a veiled reference to the possibility of seeing something other than Garmin in NEW Mooneys. Back on topic - the timeline for the heritage solution is early 2019, subject to FAA decisions﻿. Apply your own salt to taste. Has anyone talked more with Dynon about expansion of their certified dealer / installer network? I had assumed that we'd see a lot of new shops coming on line rapidly after the 172 STC was issued, but it's been crickets. Flying hundreds of miles from home for an avionics install is bad enough, but having no nearby shops to troubleshoot the inevitable squawks with a huge panel revamp is worse. Maybe some of the experimental dealers would help with advice or guidance, but I suspect they aren't going to want to log anything. And ferrying a plane with a busted MFD/PFD/EIS halfway across the country wouldn't be fun. Was the yaw damper on 252s just to let your foot rest during climb and descent? I find the controls to be well bungieed and harmoniously linked at least on my underpowered mid body.... ie I’m not on the rudder much during turns and we dont get any Dutch roll effect. Pitch trim I get. YD maybe not so much. Correct. The Encore has a Yaw Dampener and you can switch to Auto or Manual mode. Manual mode has a display next to the cowl flap indicator displaying trim setting. I use it on climb out to hold the right rudder all the way up. We realize that many of you are anxious for a Dynon Certified system, may not be near one of our initial installation centers, or may prefer not to wait for an available slot for installation. As an alternative path, aircraft owners may purchase the Certified SkyView HDX system and the STC Authorization directly from Dynon and arrange for installation themselves at a qualified installer. At the time of purchase, the owner must nominate a qualified installer – either an A&P/IA or an avionics repair station – who will perform the installation. That installer will be specifically identified on the STC Permission Statement. 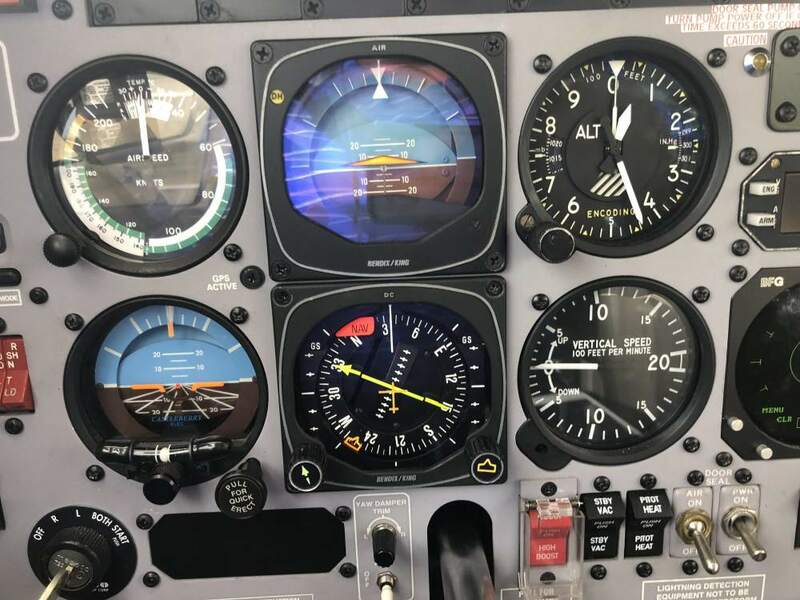 The aircraft owner will contract directly with the installer for all labor related to the installation, including fabrication and finishing of the new instrument panel. Installers selected by the aircraft owner in this way will be supported by Dynon’s highly regarded technical support staff and backed by our industry-leading 3-year warranty. The installer will be directly responsible to the aircraft owner for a problem-free installation and warranty of their work. The (lack of) authorized installers would have been a pretty big concern for me even if they had a Mooney STC ready to go. Thanks for that info. Great news for owner installed units with an IA sign off. Should drop the total cost considerably.